The 2018 Africa Rally Championship (ARC) comes to a midway point this weekend with the Zambia International Rally. This is the fourth stage of the of the seven series championship on the ARC calendar. This year’s ARC round will make its debut in the Zambian Copperbelt province in Ndola starting on 22-23rd June. The two-day event has attracted thirty (30) crews from four countries including Zambia, Kenya, Tanzania and Uganda. They will compete over a total distance 218.54kilometres. 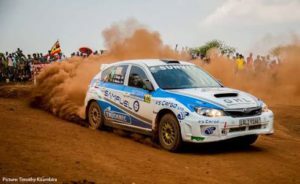 The Zambia Rally will be a key race for the ARC title hopefuls as it could determine their stakes in the title chase come the end of the year. Kenya’s Manvir Baryan, Carl Tundo and Cote d’ivoire’s Gary Chaynes currently tie on top of the ARC leader board with 25 points each. Kenyan, Manvir will hope to take advantage of Chaynes and Tundo’s absence so as to build a reasonable gap on top of the standings. Manvir Baryan will yet again be the driver to beat this weekend due to the fact that he has topped all the events away from home. However, his charge for another Zambia Rally win is not expected to come so smoothly with the local drivers whose target will be towards retaining the home victory. Kenya’s Pierro Connobia and Silvia Frigo will be in search for maximum points after falling short in South Africa with a DNF (Did Not Finish). The crew is currently in second position with 19 points from three events. 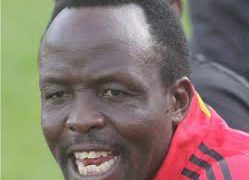 Tanzania’s Ahmed Huwel will be making his debut in Zambia with his Ford Fiesta Proto. Former ARC champion Mohammed Essa will make an appearance on the ARC round after a three-year absence. He will feature with his newly acquired Subaru. 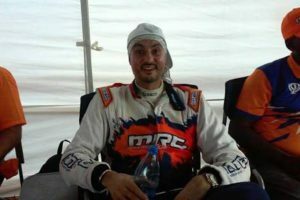 Jassy Singh, also a former ARC champion, Muna Singh, Leroy Gomes, Yvon Pinto and other local drivers will be up for an impressive show in the home event.